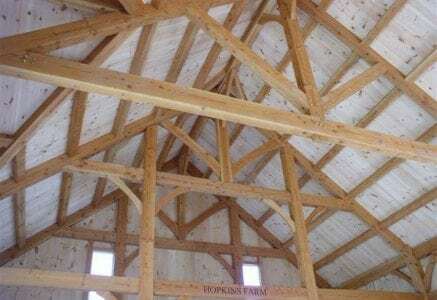 Timber frame barns are the perfect mixture of beauty and function. 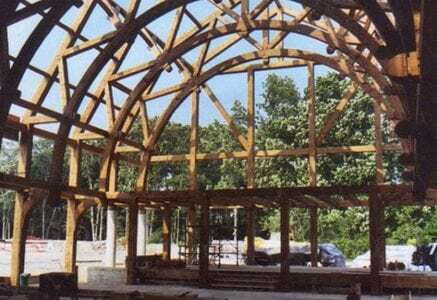 Timber frame construction is an ideal solution for creating an open building space while using minimal materials. 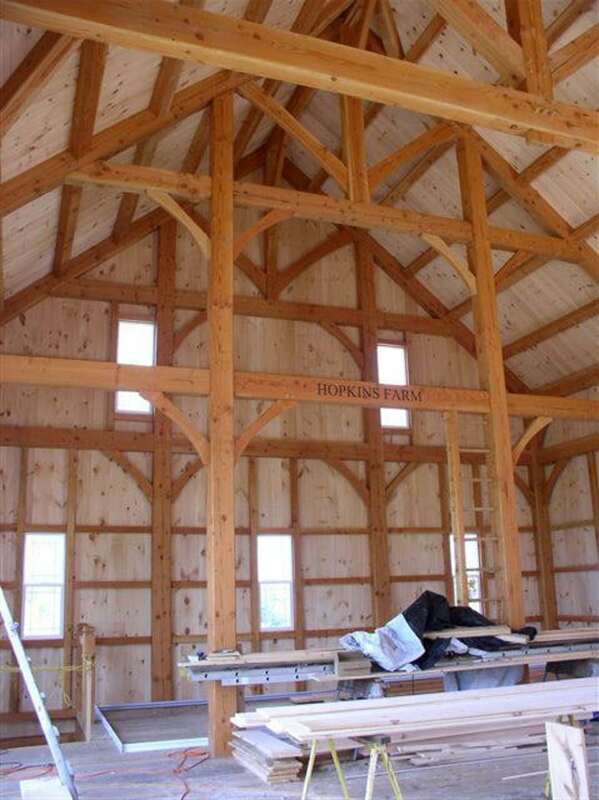 A timber frame barn is strong and stands on its own, without the need for interior walls. 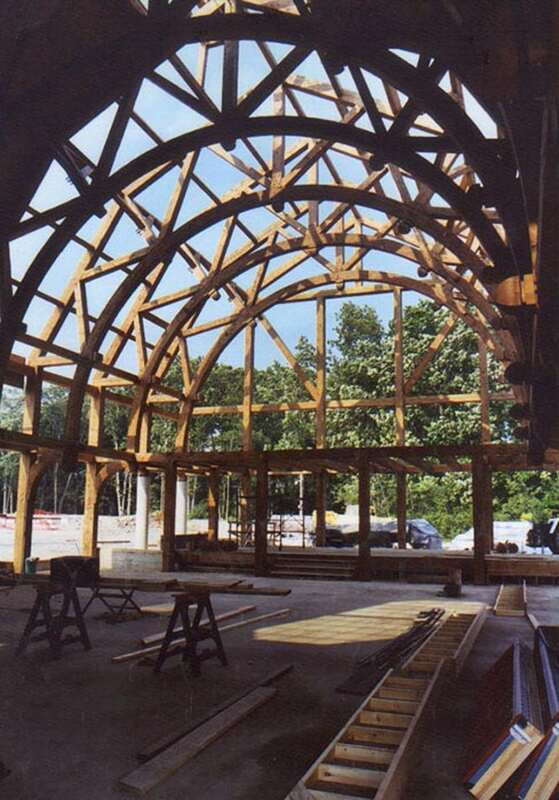 While the framing provides a construction solution, it also creates amazing interior spaces. 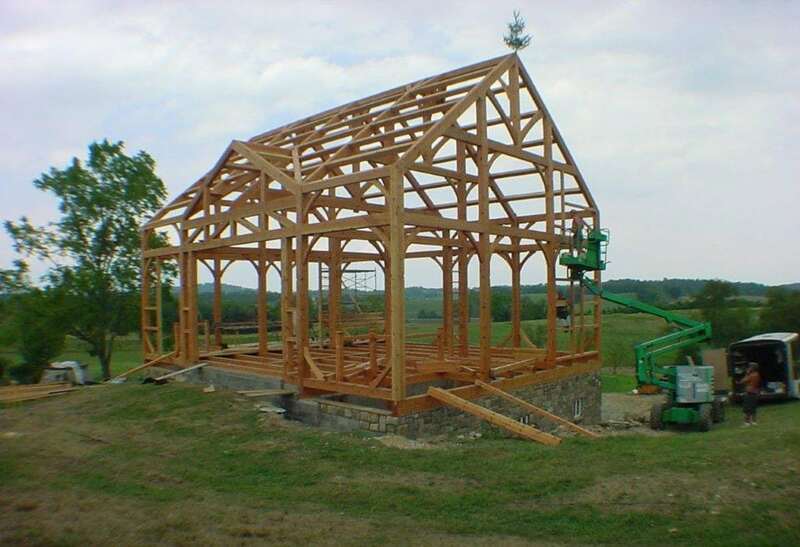 Over the last 40 years, Riverbend has designed and built a variety of barns and outdoor structures for our clients throughout North America. 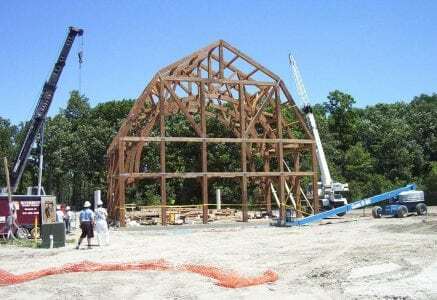 We would be honored to work with you on your project. When you choose to add a timber frame barn, stable, or horse arena to your property, you’ll be creating a memorable space that will remain for generations to come. 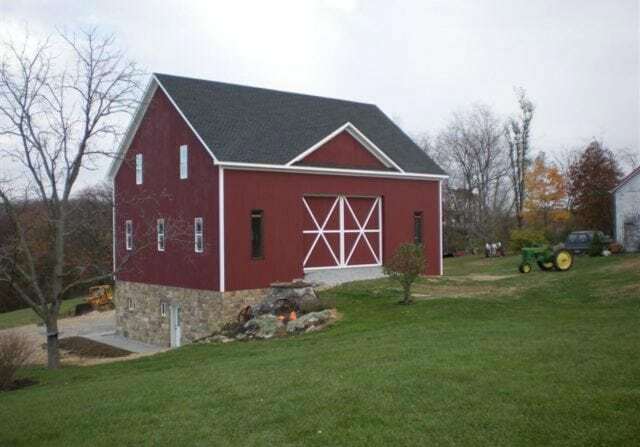 A barn can be the perfect addition to any large property. 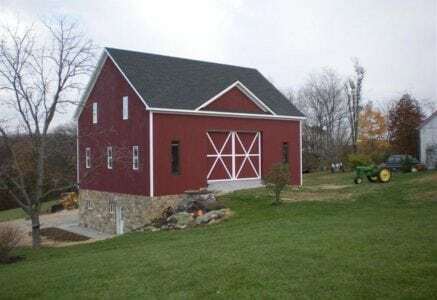 Instead of a detached garage or metal shed, consider incorporating an outbuilding with an architectural style that ties your whole property together. 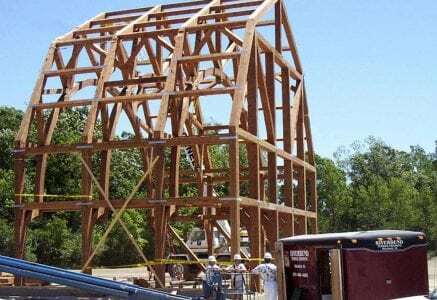 You could use the second level for a guest room or recreational space for the kids. 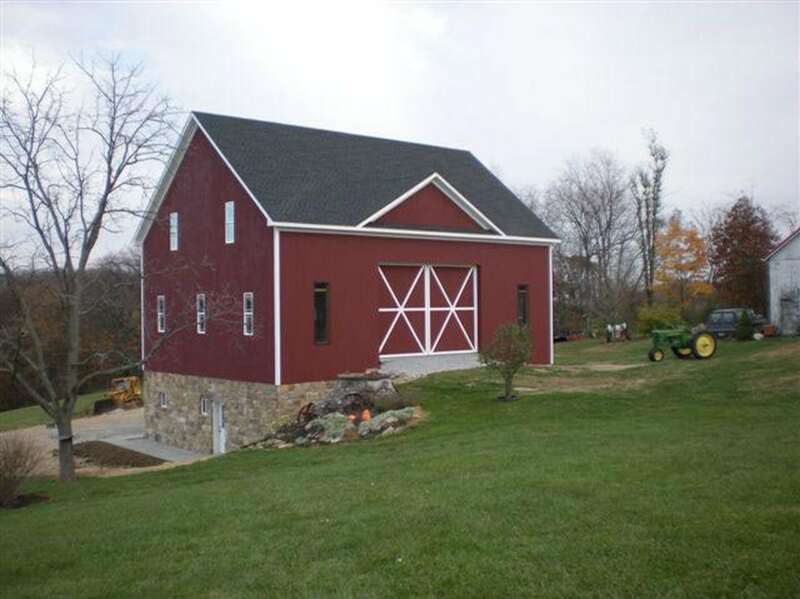 The main level would be perfect for storing 4-wheelers, snow machines, or your boat. 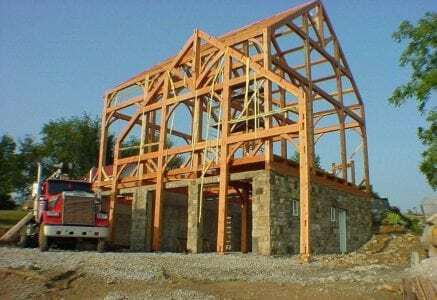 The possibilities are endless when building your custom timber frame barn. 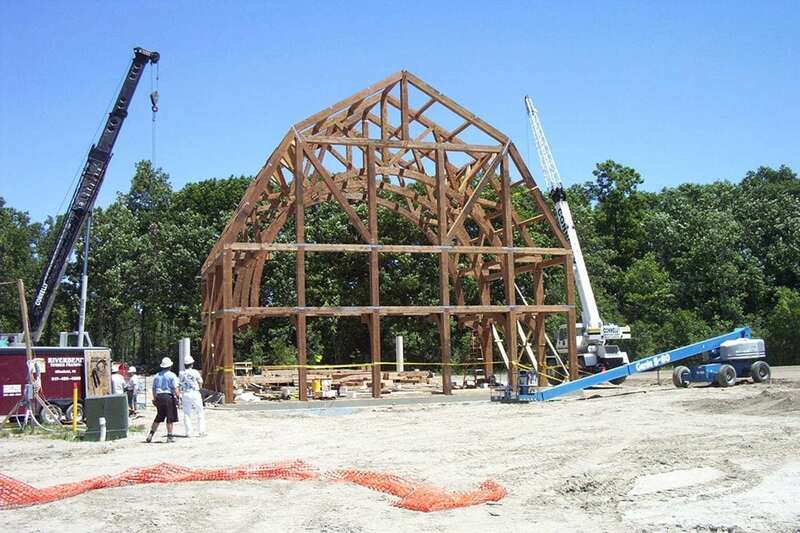 Riverbend is a full-service timber framer with an in-house design group. 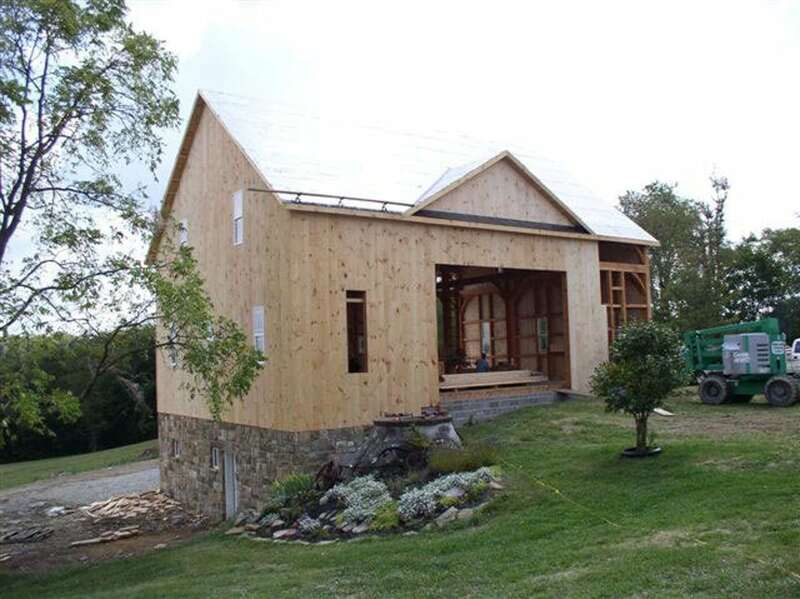 Our award-winning architectural designers have the artistic aptitude and technical knowledge to capture your vision. 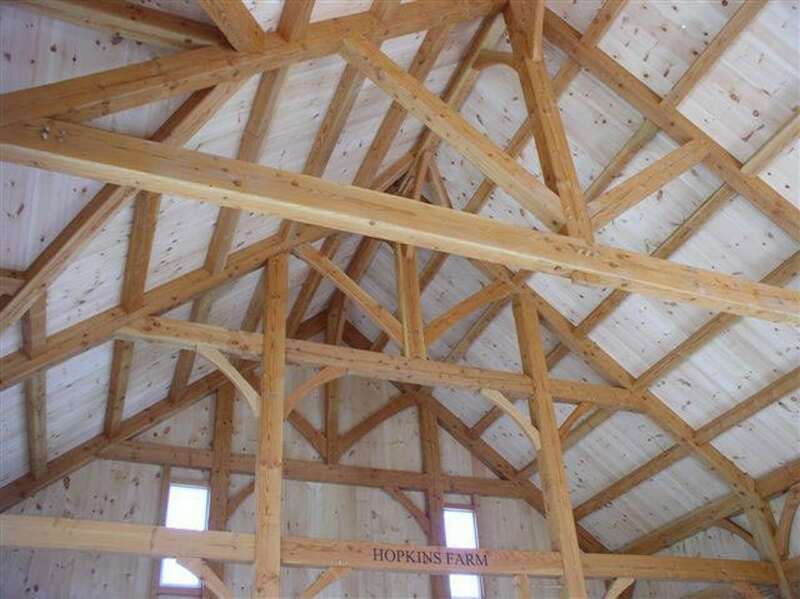 We want to help you create a timber barn or horse stable that matches your specific needs. 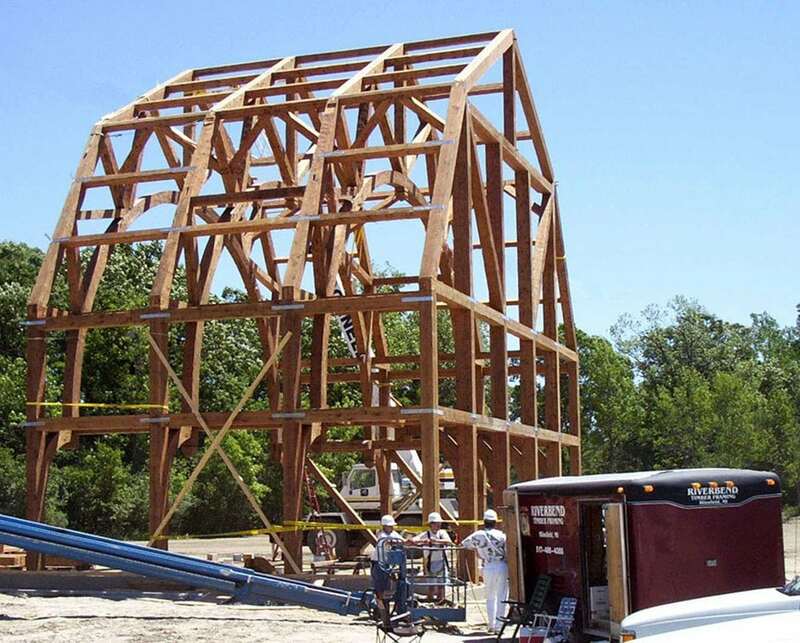 Our crew of professional installers will travel to your build site and erect the frame quickly and accurately. 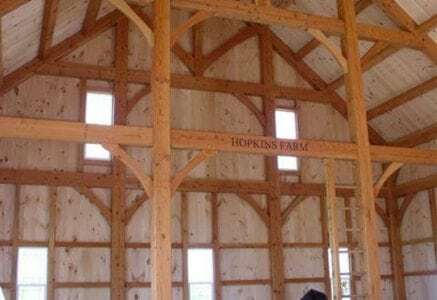 We will design, produce, and install the framing for your barn or pavilion. 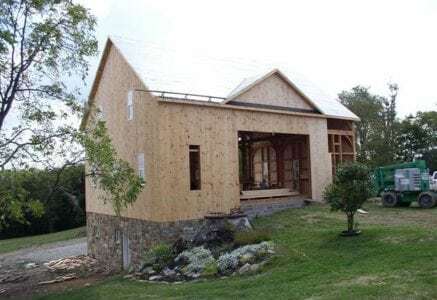 You can feel confident about collaborating with Riverbend. 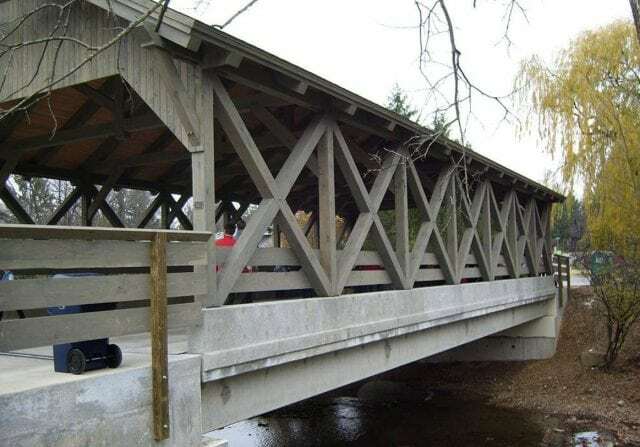 Are you interested in other commercial projects with Riverbend? Browse our other commercial photo galleries for the following categories. 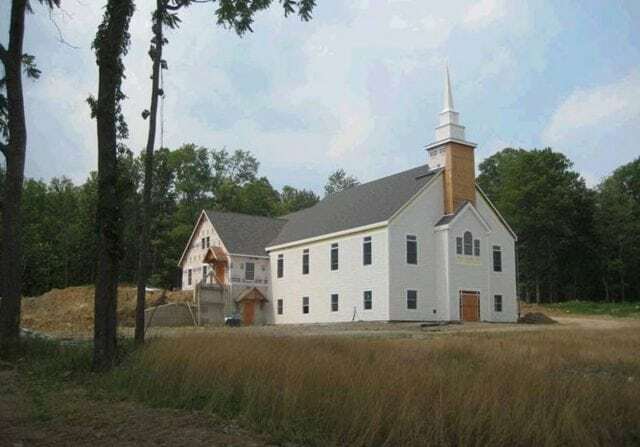 Are you looking for more information about Riverbend in conjunction with your commercialal project? Reach out to us today to learn more about what we have to offer and what we can do for you.